The beds were comfy, the apartment was spacious. Pool was great! Staff are super friendly. Rooms and kitchen were massive with plenty of space for all 6 of us (4 kids). Pool was fun for the kids. The staff was very friendly and helpful. The room had everything we needed for my family of 4. It was also close to restaurants and shopping. Would definitely recommend. Convenient location and close proximity to shops, restaurants. 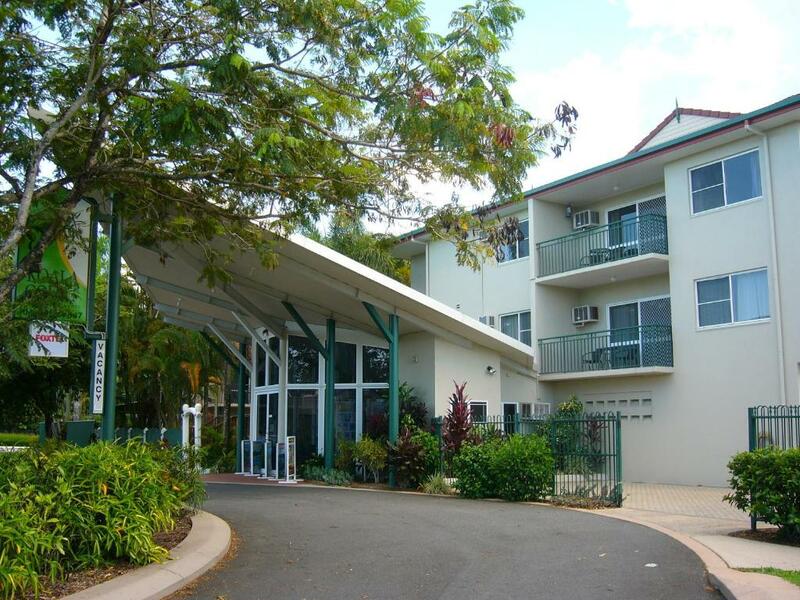 Very family friendly staff, quite area,very comfortable rooms and great location, great value and close to all the amenities, Will make this our chosen place to stay in Cairns now with the family and when just the 2 of us. Very close to airport, free secure parking and convenient to many of the attractions. The hosts Andy and Ruth were extremely helpful in making our stay comfortable and enjoyable. Be it a small help with a bit of washing powder or help in planning a full day outing for the Skyrail, they were always really very helpful. 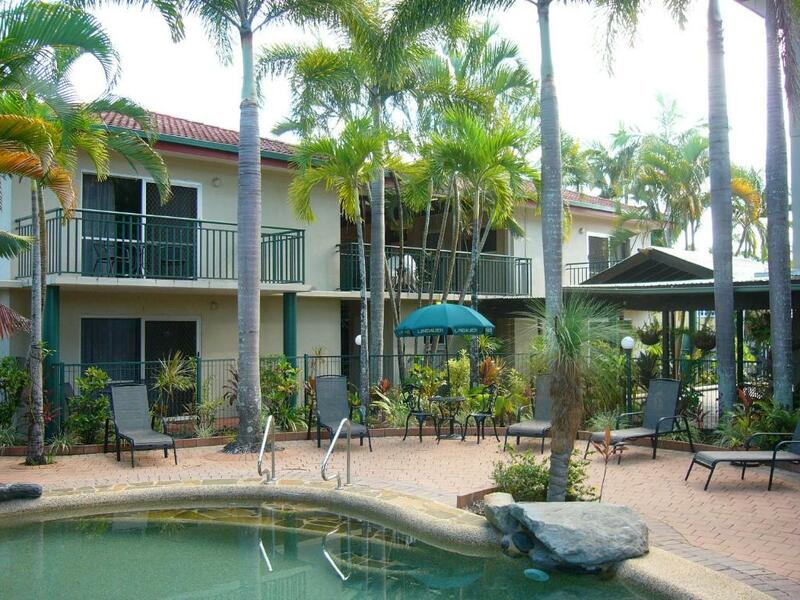 Lock in a great price for Koala Court Holiday Apartments – rated 8.9 by recent guests! Koala Court Holiday Apartments This rating is a reflection of how the property compares to the industry standard when it comes to price, facilities and services available. It's based on a self-evaluation by the property. Use this rating to help choose your stay! Koala Court Holiday Apartments are only 20 minutes’ walk from Cairns City Center. Cairns Wildlife Dome and Cairns Airport are each a 10-minute drive away. The Koala Court tour desk can book trips to the Great Barrier Reef, Daintree Rainforest and Green Island. Guests can enjoy a meal in the barbecue area, or work out in the fitness center next to the property. When would you like to stay at Koala Court Holiday Apartments? This apartment features a private balcony, full kitchen and laundry facilities, and a living room with cable TV and a DVD player. This studio features a kitchenette with microwave, small table & chairs and a flat-screen TV with DVD player. House Rules Koala Court Holiday Apartments takes special requests – add in the next step! Debit card Koala Court Holiday Apartments accepts these cards and reserves the right to temporarily hold an amount prior to arrival. Koala Court Holiday Apartments accepts these cards and reserves the right to temporarily hold an amount prior to arrival. Please inform Koala Court Holiday Apartments of your expected arrival time in advance. You can use the Special Requests box when booking, or contact the property directly using the contact details in your confirmation. If were being very picky, it would have liked to have had Netflix. It was also a bit frustrating how often WiFi had to be signed into. Multiple times per day! There was nothing not to like about the property. All good. The owners were super friendly and helpful, the location was great and the apartment and resort itself really nice. Not having designated parking bays. Some toiletries would have been nice i.e. shampoo & conditioner. The owners were really nice and took time out to have a chat. Comfortable, Clean, Great Location & Good Value.....Andy & Ruth were lovely, easy to talk to and happy to help . We expected to use the swimming pool, but there were leaves in the water and we decided not to do. Some facilities need maintenance, for example, the top rack of the dish washer was loose. I was so afraid the dishes might fall out of it to break. We hesitated to open some curtains so that other guests on the terrace can see us. The apartment is spacy and it has all facilities we wanted. The owner is very kind and helpful. He gave us lots of advice and we appreciate it. Great friendly staff and very comfortable bed! That our apartment felt like home especially for the children.